I remember a fellow who went to the same church I did. When he reached retirement age, he retired—not just from his day job—but from everything. Even singing in the choir. The funny thing is—to this day—I can still picture him and the unhappy scowl he wore for the rest of the time I knew him. Giving up his previous activities may have given him loads of free time, but it didn’t make him happy. My situation is just the opposite. I retired from work because I wanted to write full-time. While I monitor my outside activities to keep from being overwhelmed and not have enough writing time, I’m well aware of the importance of balance. And balance for most people at retirement probably means continuing to do at least some of the things they’ve always done. I recently received an invitation to review a new book from a fellow named John Faubion (picture at the top of this post). He’s a couple of years older than me and retired after spending thirty years as a Christian missionary in Southeast Asia. But you know what? When John retired, he didn’t retire. He wrote a novel. Writing a first novel is a HUGE undertaking, but he didn’t let his age or lack of prior experience hold him back. 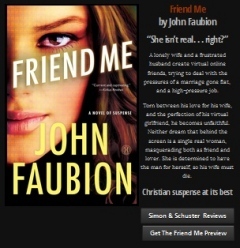 His suspense novel, Friend Me, releases in early February, and I can’t recommend it highly enough. 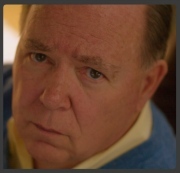 He admits that the prospect of following up with a second novel is a daunting one. But he’s ready to try. Ready and anxious. Why couldn’t that poor man who quit everything including the church choir have turned retirement into a time of fulfillment the way John and I have done? If you enjoy this blog, please follow it. And if you have comments or questions, please post them. I’d love to see a good discussion here.